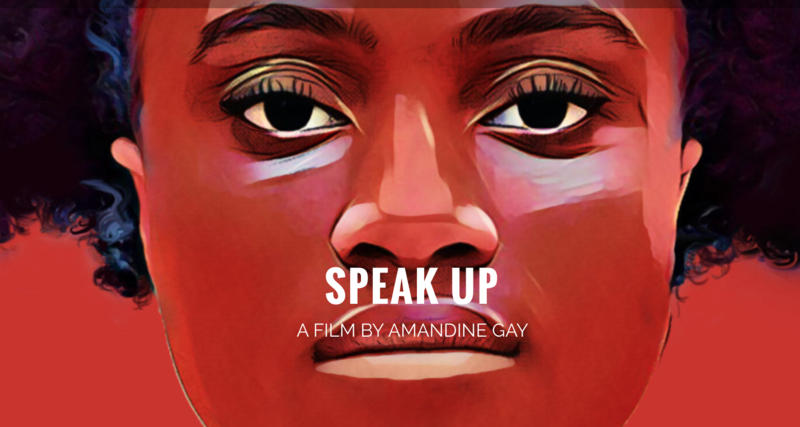 Ouvrir la voix (Speak Up), 2017 is the debut film of Montreal-based Afro-feminist filmmaker, activist and journalist Amandine Gay. In this feature-length film, women of African descent converse about what it means to be women of African descent today, belonging to a global African community. By sharing their experiences and aspirations for the future, they aim to reclaim control of their own representation. A celebration of the diversity of womanhood within the global African diaspora, Gay calls the film her response to the need for black francophone women to reclaim their narrative, and challenge the suppression of their voices, revealing the complexity and diversity of their lives and identities. Inspiring a conversation through intertwined narratives, Speak Up also exalts the history of black women's resistance - those who've fought to be heard, and a testimony to those who will continue to fight into the future. This screening is in conjunction with the exhibition Question Bridge: Black Males at the Mary Porter Sesnon Art Gallery (February 6- April 6). Core West Parking Structure; purchase permit at paystation inside. Parking is enforced until 8:30PM.